2547 NW Shields Dr. is among the three available units from Phase One of The Bungalows at Northwest Crossing. 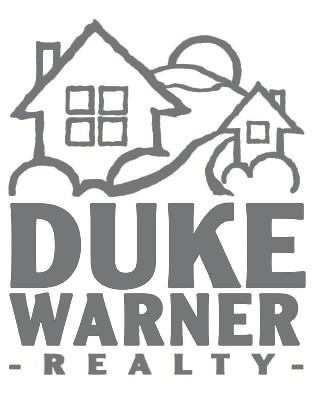 The trend in real estate for years has been to build smaller, greener homes in walkable neighborhoods. In fact, in a recent Urban Land Institute survey a majority of Americans expressed a desire to live in compact and mixed-use communities and half of respondents listed walkability as among the key factors in considering where they want to live. It stands to reason. Two of the largest generations of Americans — retiring baby-boomers and coming-of-age millennials — are either looking to downsize or to move into a first or second home. Both generations have changing tastes, expressing an increasing preference for smaller, beautifully designed homes that are environmentally sustainable. And the homes should be walking distance to parks, open spaces, restaurants and shopping. 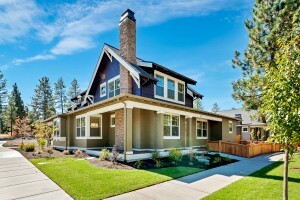 Certainly we have seen these trends come to fruition in Bend, Oregon real estate. The Bungalows at NorthWest Crossing was designed with these desires in mind. At the heart of the NorthWest Crossing neighborhood, a master-planned community centered around this new-home philosophy, the 24-unit condominium project has proven perfect for empty-nesters and second-home owners who want to be a part of a vibrant, safe neighborhood. .Designed by Muddy River Designs and built by Greg Welch Construction, the project calls for 24 one- and two-bedroom condominiums with floor plans between 600 and 1,400 square feet. From ductless heating and cooling systems and tankless water heaters to water-sipping faucets, each bungalow is ultra-efficient and built with particular attention to detail. In addition, part of what makes The Bungalows a special project is that it sits near Lewis and Clark Park and only a short walk from the dining and shopping options that have helped make NorthWest Crossing so popular. Unit 2. This 1,237-square-foot, two-level home features a great room, two master suites upstairs, 2.5 bathrooms, attached two-car garage and a covered porch. Listing price: $415,000. Unit 9. This 1,285-square-foot home, two-level home features a main-level master suite, great room, two bedrooms, 2.5 bathrooms and an attached two-car garage. Listing price: $435,000. Unit 18. The 1,100-square-foot, single-level design is one of only two standalone units in The Bungalows. Features include an open great room, two bedrooms, two bathrooms, and an attached two-car garage. Listing price: $459,000. It has been quite a year since breaking ground on the five units in the first phase. The Bungalows were a featured stop this summer at the 2015 Tour of Homes and Greg Welch has already won a green building award. If you miss out on Phase One, fear not. Phase Two will begin shortly. Don’t lose a chance to live the good life in one of the most innovative developments in Bend, Oregon. To get started with listing your Bend, Oregon home, or to view area homes contact me by calling (541) 383-1426 or visit Bend Property Search to connect with me through my website.